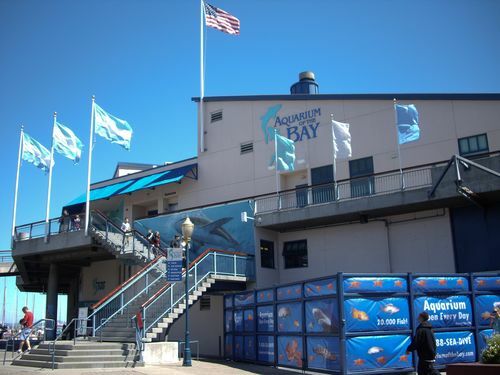 Take a self-guided tour through three main exhibit areas at the Aquarium of the Bay where you'll see what lies beneath the surface of the San Francisco Bay and surrounding areas. This aquarium is smaller than the Monterey Bay Aquarium but its still nice and great for the little ones! Under the Bay - featuring over 20,000 marine animals where you stroll through 300 feet of clear tunnels taking in a scuba divers view without all the scuba gear! Jellies, Sea Stars, giant Sea Bass, schools of Anchovies and Sharks! Touch the Bay - This is where you literally get to touch! These are touch pools with sea stars, rays, sharks and an interactive Bay Lab Station. This is probably the kids favorite part. Discover the Bay - where you can check out the distinctive ecosystems that support an incredibly wide variety of marine life. Aquarium of the Bay is open every day of the year except Christmas and sometimes closes early for private events. Check here to be sure. Summer Hours - beginning May 26th - everyday 9am to 8pm. There are ticket booths located on Pier 39 and Pier 41, as well as at the visitors service desk at the main entrance. Tickets are pricey here! You're looking at 22 dollars per adult and 13 dollars for kids 4-12. 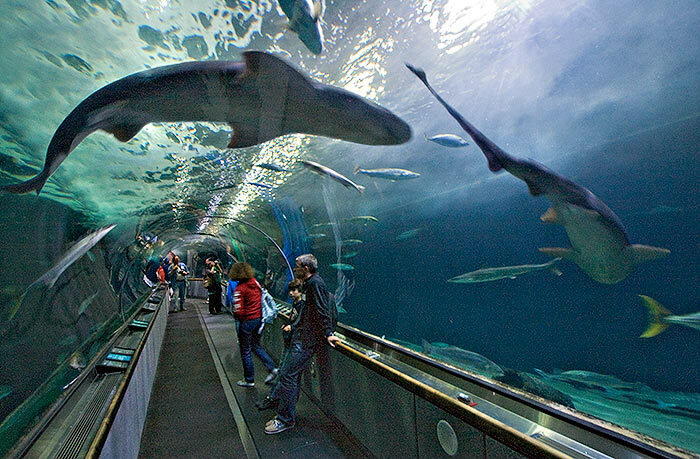 This aquarium qualifies as an attraction on a CityPass sightseeing card. If you are planning on seeing more than this attraction on your trip you might want to consider getting one. It will save you time and money. Read more about these sightseeing passes here. Parking Tips - Public parking is available at Pier 35 or across from the main entrance at the Pier 39 garage. The garage is open 24/7. Please keep in mind, the aquarium does not validate for parking but many of the restaurants on Pier 39 do. I have not personally stayed at any of these hotels so please click on each one to read the reviews before booking your trip. Have fun!